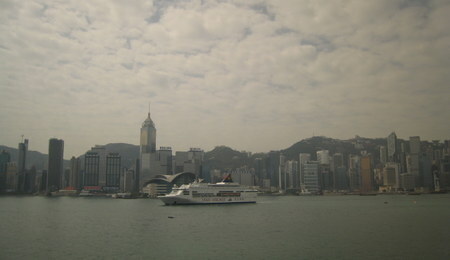 Picture: The best view of the Hong Kong harbour can be had from a room in the Intercontinental Hotel on Kowloon. 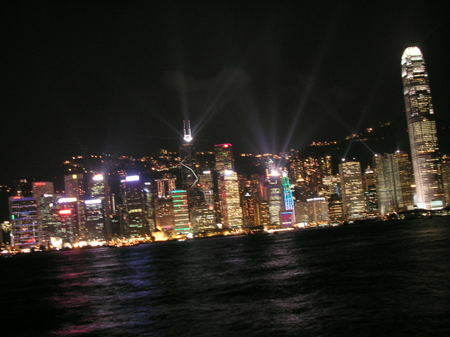 Among the many Hong Kong hotels, The Intercontinental Hotel is the one with the best view. Where else would one see big cargo ships and the impressive skyline from bed? Where else is the staff at the entrance so attentive to roll and pack a wet umbrella? Where else does the Jacuzzi offer a breath-taking view? Or where else do local film directors get married? And nowhere else is the view from the lounge so grand. 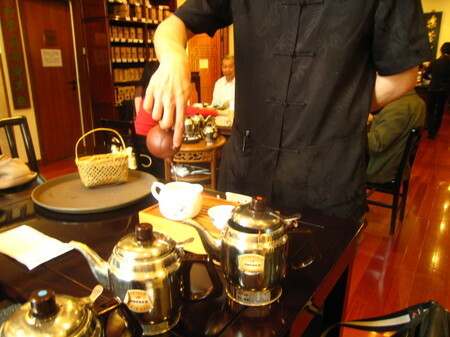 Picture: The waiter is preparing tea according to the ancient Gongfu method originating in the Fujian region. 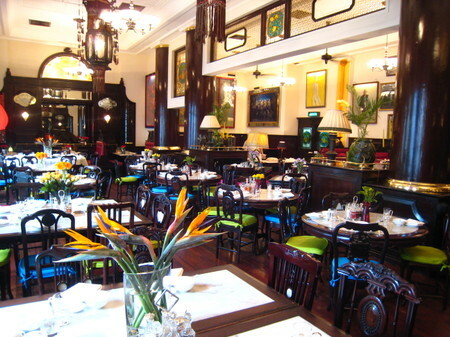 Picture: The biggest dining room at the China Club in Hong Kong. David Tang is the brain behind the iconic retro-chic China Club restaurant franchisee and I recently went to his first venture, the China Club in Hong Kong situated in the old Bank of China Building. The club recreates the atmosphere of Shanghai in the twenties and serves traditional Chinese cuisine from dim sum to sweet and sour soup. 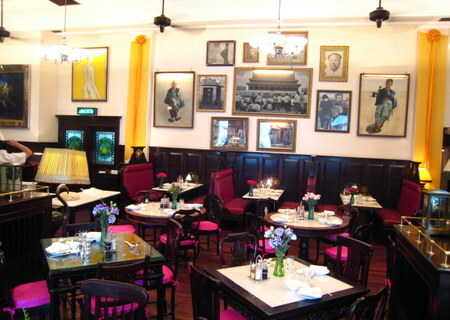 The China Club franchise spans nowadays from China to Singapore and David Tang also launched the Shanghai Tang clothes retailer that is now owned by Swiss Richemont. Picture: Pu'er green tea selling for up to 4'000$ per block. 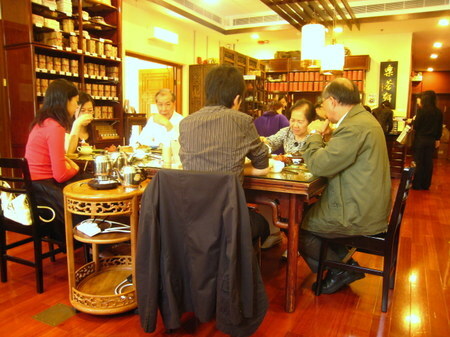 Tea, once a typical Chinese drink, is quickly substituted by coffee in Hong Kong and Mainland China. At the same time the skilful art of preparing tea is lost and tea leaves get burned in too hot water and tea becomes bitter because of too long brewing. 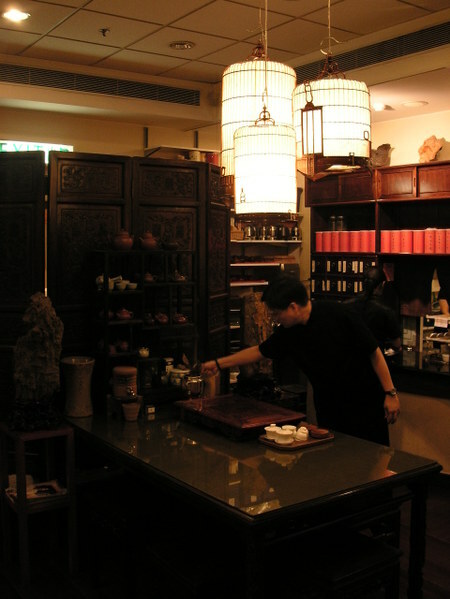 One of the last remaining traditional tea houses in Hong Kong is Lock Cha Teashop located in Hong Kong Park. The tea house offers over 100 different teas and serves tasty vegetarian dim sum with it. 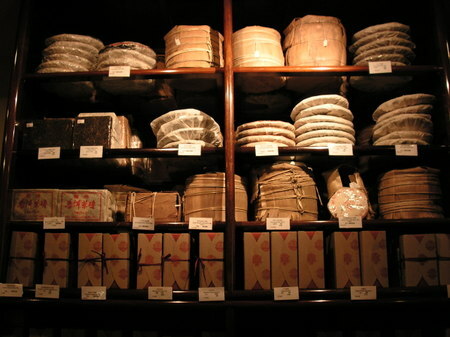 The dim sum is prepared to ancient recipes by Buddhist nuns and the shop sells from cheap to very expensive tea. The most expensive tea they have on sale is Pu’er green tea of the year 1960 that once cost 2$ and now retails for over 4’000$. Consider it a healthy investment. Picture: The Lock Cha Teashop in Hong Kong selling over 100 tea varieties. 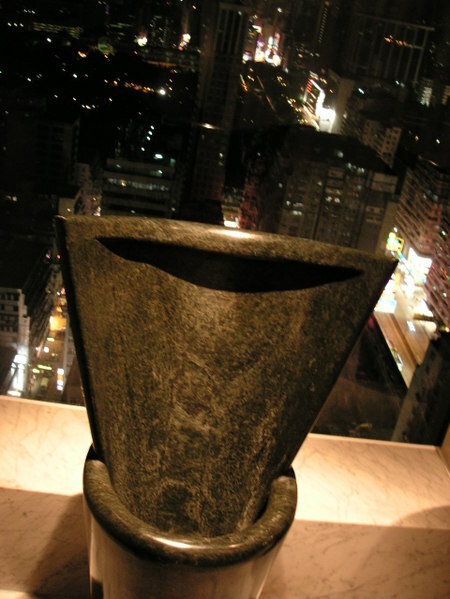 Picture: Normally reserved for the eyes of men: the Felix restaurant pissoir with a view on the 49th floor. The Peninsula Hotel in Hong Kong was the first luxury hotel in Hong Kong and still is the epitome of splendour. It features fine service, Swiss management and the Felix restaurant on the top-floor designed by Philip Starck. The restaurant with bar is all about being seen and watching the fabulous skyline of Hong Kong Islands will eating mostly mediocre but horrible expensive food. But the true attraction of the Felix is the men’s toilet with the pissoir in front of a wall-height window: definitely not for people with vertigo! 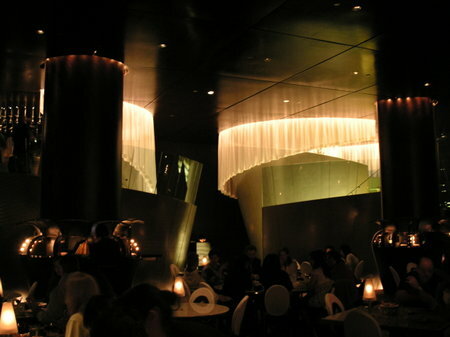 Picture: the terrible trendy Felix restaurant in the Peninsula Hotel. 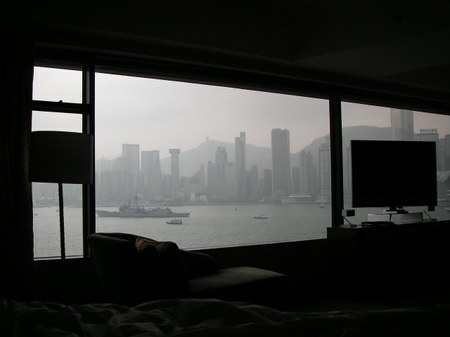 Picture: Waking up a the Hotel Intercontinental to the Hong Kong skyline, an American fregatta and the Hong Kong and haze. If you want to live it up in Hong Kong and stay in a swanky environment you have plenty of hotels to choose from. There are basically two schools of thought about where to stay in Hong Kong: The old school (think about my dad) stays on Hong Kong Islands near the financial centre because of pure convenience and tradition. So you can either stay in never-out-of-fashion Mandarin Oriental Hotel or in the new-and-fizzy Four Seasons Hotel in the IFC building. The downside is that the view is meagre as you either look up a hill or on less-than-spectacular Kowloon. 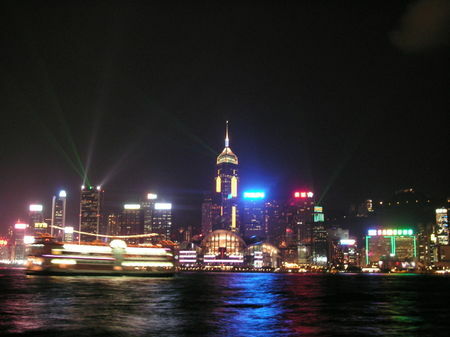 The other option is to have a big room with a view on fabulous Hong Kong Island with its magnificent skyline. I personally love to stay at the Intercontinental Hotel in Tsimshatsui on Kowloon for the extravagant view of the magnificent skyline of Hong Kong Islands. Yes the hotel is a half-an-hour ferry-ride away from Central Hong Kong but the ride is an attraction itself. And if you really want to live it up you buy an Ambassador card for 150$ from the Intercontinental Hotel and get upgraded to a suite every time you stay there. And if you are lucky you get upgraded to a roomy executive suite with a view of the harbour and Hong Kong Island that is hard to match. In the end it is a matter of taste what you prefer: convenience or a view. PS: And keep in mind that Hong Kong is mind-bogglingly expensive. Or as the Luxe City Guide adeptly put it: On a low budget? Do not go to Hong Kong. On a low budget and in Hong Kong? Start crying! According to the South China Morning Post the Article 45 Concern Group is pushing the idea of Hong Kong pioneering democracy in China. With democracy they want to further development and growth. Let's hope that Hong Kong will become an SDR or Special Democratic Region as it was an economical test bed before. What is that, any ideas (seen in Hong Kong)?